For paranormal enthusiasts who are excited by the proposition of investigating or exploring a haunted cemetery, those in New Orleans are always at the top of the list. 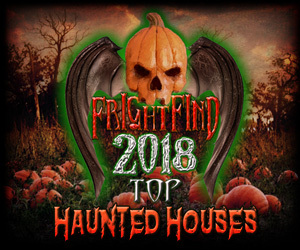 But for those looking to visit a cemetery in a city that doesn’t have as much hustle, bustle and the same level of paranormal activity with the most gothic tombstones in the South, the Bonaventure Cemetery just east of Savannah, Georgia is a must see. Records with the city show that the area which is now the Bonaventure Cemetery was once a sprawling plantation during the 1800s owned by John Mullryne. 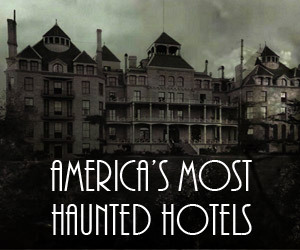 In 1846, the land was turned over and a cemetery was formed in its place. 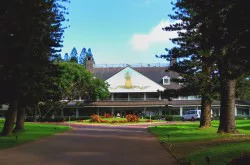 At over one hundred and sixty acres, the cemetery is vast in size and definitely an active place. 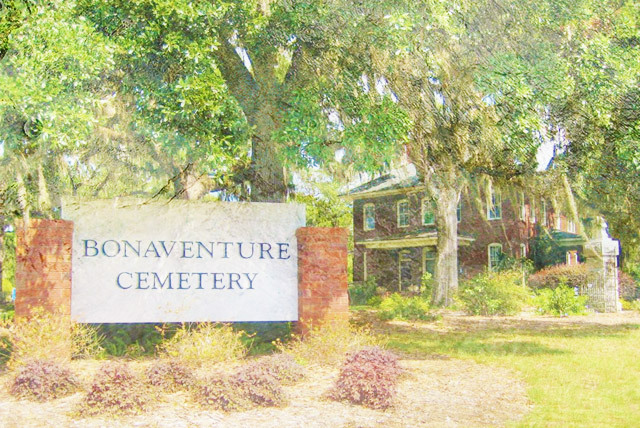 Is the Bonaventure Cemetery Haunted? The most famous ghost of the Bonaventure Cemetery is that belonging to a spirit called “Little Gracie”. She was born to W.J. 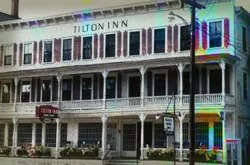 Watson, a man who owned a famous luxury hotel in Savannah during the late 1880s. 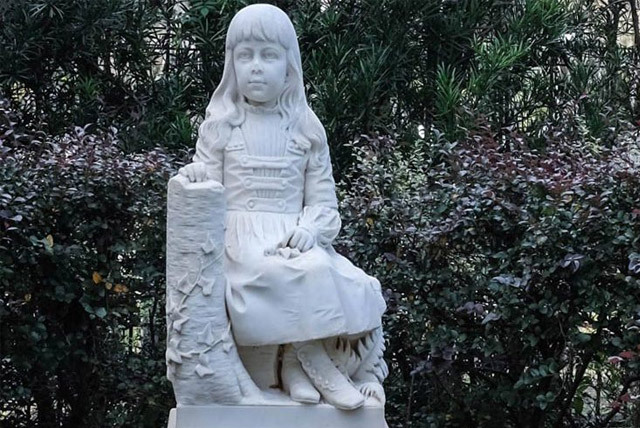 At the age of six, Gracie died from pneumonia and her father was so heartbroken that he had a life-sized headstone sculpted in her image where he would regularly leave her flowers. 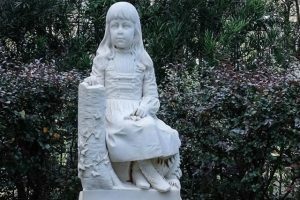 Over the years, people have reported if flowers are left at her gravesite, that the eyes of the statue will cry tears of blood. Whether it is over her unexpected death or her father moving away is anyone’s guess. Other times, the spirit of Gracie in a white dress is seen by visitors running amongst all the various tombstones in the cemetery. Another famous statue inside the cemetery is said to come alive at times. 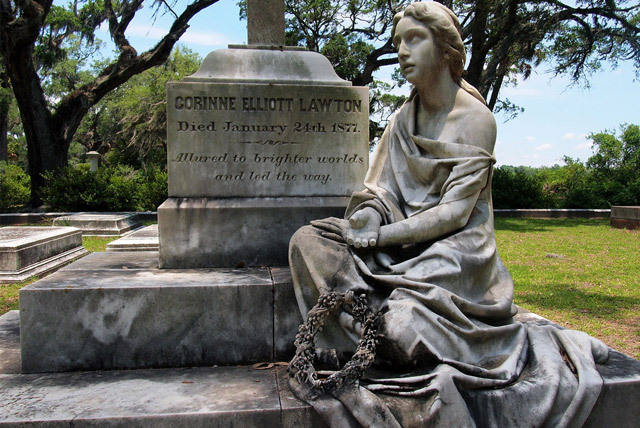 The statue of Corinne Lawton was sculpted after her she drowned herself in the Savannah River in 1877. Her family was reportedly so ashamed she had taken her own life, they had her headstone face away from the rest of the family plot. 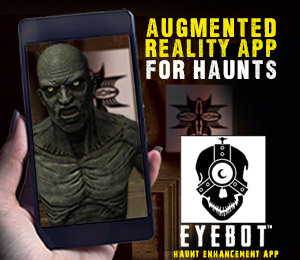 Reports are that the face of Corinne’s statue smiles at friendly and respectful visitors to her plot while at other times, her face is capable of twisting up at anyone who scowls at her statue. For those who are interested, the Bonaventure Cemetery is completely open to the public and there is no cost to enter it. It is regarded that for those visiting, bringing a camera is actually encouraged. 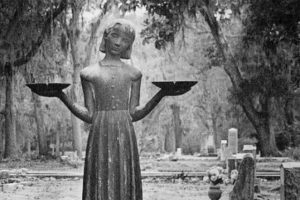 Whether it be for a moving statue or to capture their beauty itself, the Bonaventure Cemetery is agreed to be one beautifully haunted place.